If you want to play the Blues the Hoodoo Blues harmonica set has what it takes to get you started. 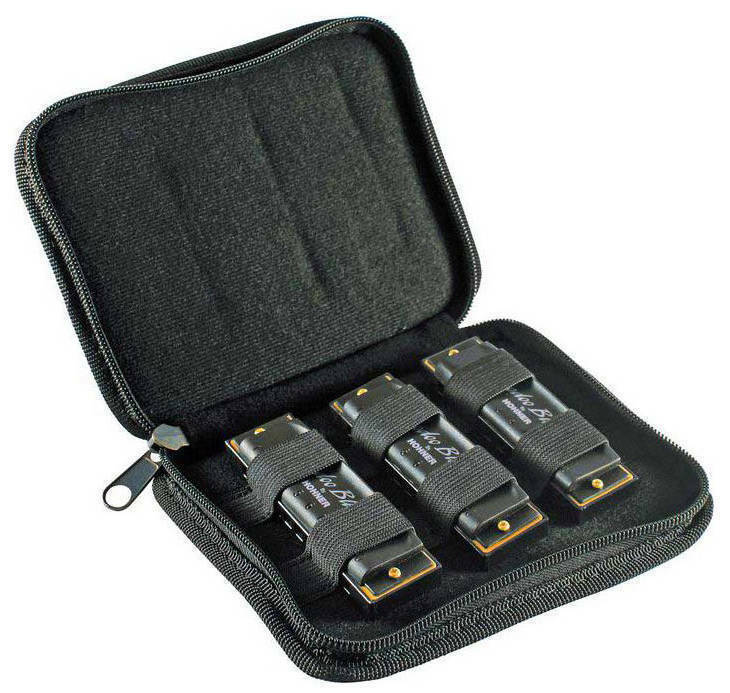 Three of the most popular keys of harmonica packaged in a handy zippered carrrying case gives anyone what they need to kick-off their Blues career. Connecting with the ever popular term "Hoodoo Man" used in many old Blues tunes depicting a folk-magician or "conjurer", Hohner keeps the spirit of the Blues alive with the Hoodoo Blues harmonica set. I agree with the other reviewer that these are not quality instruments, but I saw them while shopping for other instruments and got them just to play around with. they are perfect for some casual fun.